The advice business is a monopoly run by survivors. When something becomes a non-survivor, it is either completely eliminated, or whatever voice it has is muted to zero. Having performed well over a thousand shows in or with dozens of bands (even excluding the Classical acts) spanning far too many genres to list I’ve had some personal experience in the career trajectories of bands even without all the extensive independent research I’ve been doing over the years. I’ve been a frontman, sideman, arranger/composer/lyricist, and soundman; I’ve played leads, percussion, and sung in dozens of different languages (even while playing cello); and danced, cosplayed, and performed various dramatic roles in semi-staged productions. I’ve performed and toured and played on bills with several Grammy Award artists as well as on bills with hundreds of other bands and solo acts throughout the US. Here are five things I’ve learned over the years, especially the past decade. 1) Bands are no more nor less relevant or a part of contemporary culture than Classical Musicians. 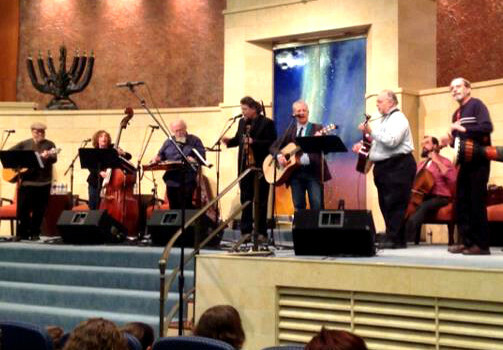 Jon Silpayamanant performing with Grammy Award winner Cantor Mike Stein and local bluegrass musicians during the “Bluegrass with Jewish Sass” festival at Adath Jeshurun Synagogue in Louisville, KY.
More and more we are seeing Classically Trained musicians, or musicians who play classical instruments, playing in bands. 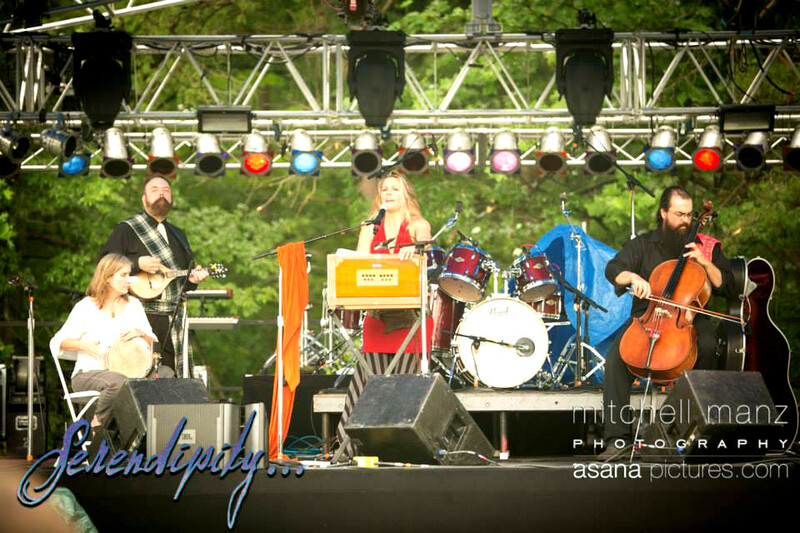 I recently played the New Albany Indiefest (on cello) with my Rock Band, Mercy Academy. A good third of the acts performing have musicians (mostly violinists) who are play traditionally classical instruments in them. Classical Instruments are now pretty regularly a part of Band culture in ways we didn’t see 30, 20, or even 10 years ago. The training and instrumental choices are as much a part of Classical Music culture as the actual music and compositions produced and played so talk about Classical Music not being a part of contemporary culture usually references a part of total culture which doesn’t play as big a part which begs the question since there are many other ways the actual compositions and music is embedded in the culture in ways that have nothing to do with the traditional concert halls. 2) Musicians in Bands are no more likely to be financially successful than Classical Musicians. 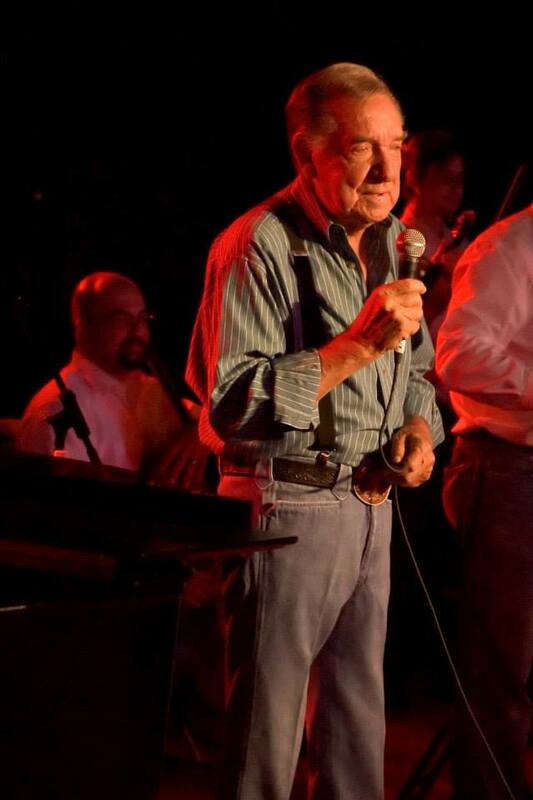 Jon Silpayamanant performing with multi-Grammy Award winner, Ray Price, as one headlinings act with Willie Nelson and Merle Haggard at Carl’s Corner, Texas. Part of the idea that Classical Music is no longer relevant or part of contemporary culture is because of how much we’re seeing large organizations having financial difficulties. Let’s set aside the fact that the SOBs (Symphonies, Operas, Ballets) which get the most press are the ones in trouble (Negativity Bias) while success stories rarely get much media or social media attention. Let’s set aside the issue that many of these Classical organizations have been around far longer than even some of the oldest still performing Bands and point out the fact that what may be working for a small group of people (i.e. four-piece Band) or solo act can’t hope to work for big ponderous organizations like the traditional SOBs. Which leaves us with the small ensembles or solo recitalists. Sure, this pop model could work fine for these smaller groups, but since (as I pointed out in 1) above) the vast majority of Bands aren’t even close to the level of success enjoyed by top name Pop Bands or Superstars. Being relevant or part of contemporary culture isn’t going to get you to the 1% any more surely than not because it hasn’t worked for the vast majority of other non-Classical musicians either. Given this, let’s say something about audiences. Then we get into the freelance world which is where the majority of musicians in all genres can make a relatively respectable living doing what they do. Before I actually got back into the Classical Music scene (mostly due to my move back here to Louisville) I wasn’t doing any freelancing–in the Classical Music scene, that is. I was able to scrape by making a living freelancing in the World Music and Experimental Music scenes and ever since I’ve gone to full-time musician status a little over ten years ago I’ve consistently raised my income (even during the recession years) over triple what I was earning when I first transitioned over. My revenue now from composition alone is nearly the same as my total revenue for all musical activities when I first transitioned. One of the things that differ now from back then–I get more freelance Classical Music gigs. While I’ve learned tons over this past decade–things which have allowed me to increase revenue in all areas (from maximizing revenue through selective booking, to licensing and commissions, to diversifying my skill set) there have been far more opportunities for me to branch out in the Classical music world. Granted, I was starting from Zero Classical gigs to a much more evenly proportioned gig schedule (roughly a quarter for each of the broad categories: World Music, Rock/Pop Music, Experimental Music, Classical Music), but on the whole, the Classical Music gigs are the most consistent and consistently higher paying gigs than the others. 3) Filling the Venue is how Bands make it work. Jon Silpayamanat playing with his rock band, Mercy Academy, at the New Vintage in Louisville for a small but enthusiastic crowd. While constantly having a full concert hall could surely help with financial success, this will only matter to the smaller artists. As we know, even if the SOBs were to fill their venues to 100% capacity, the revenue generated would only fill a proportion of the operating costs of the organization. This isn’t any different than what happens in other large performing Popular Entertainment organizations. The NFL, the biggest money-maker of professional sports, only generates 20% of its operating costs from ticket/gate revenue (all this while NFL Cheerleaders battle for minimum wage and Bands asked to play half-time shows are now being asked to pay-to-play despite the fact they aren’t even compensated for playing the event in the first place). The highest grossing touring acts like U2 consistently lost money during their huge 2009 360° tour and Lady Gaga went Bankrupt ($3 Million) during her 2011 Monster Ball tour. For smaller acts without the huge overhead from large scale production costs filling even a moderate sized venue could work if done on a consistent basis. Of course, given what i said in 2) above, that’s unlikely to happen except for a very small percentage of acts since that only works for a small percentage of Bands. Thing is, as anyone who’s played in a Band knows, you’re more than likely to be a part of a multi-band bill. Which means there will be three or more acts on the show with you. Even big names (who have a draw) often have (often local) openers, so operating costs have already increased beyond simply being a four-piece doing a solo show. This is no different than what’s happening in big multi-band festivals though it’s usually the local acts which play for the exposure. The problem here is, the big names usually take the lion’s share of the revenue (minus expenses to the venue) so again, the local act, while playing for a full hall, makes nothing or next to nothing. So even if you can fill a venue with an audience, non-performance revenue (whether its donors, revenue from broadcast licensing or merchandising, or label tour support) will be needed to fill the gap in operating expenses in larger organizations. The larger the organization (and the greater in number the laborers) the bigger the gap between performance revenue and operating costs. Consistently playing to sold out audiences may work for smaller groups, but won’t help the larger organizations nearly as much. Even if the venue is full, because of the way many Pop Music shows and Festivals (as I mentioned above) are organized, the local acts will get a small percentage (if any) of the door for the show. 4) Classical Music has to change like Pop Music has changed to become relevant. 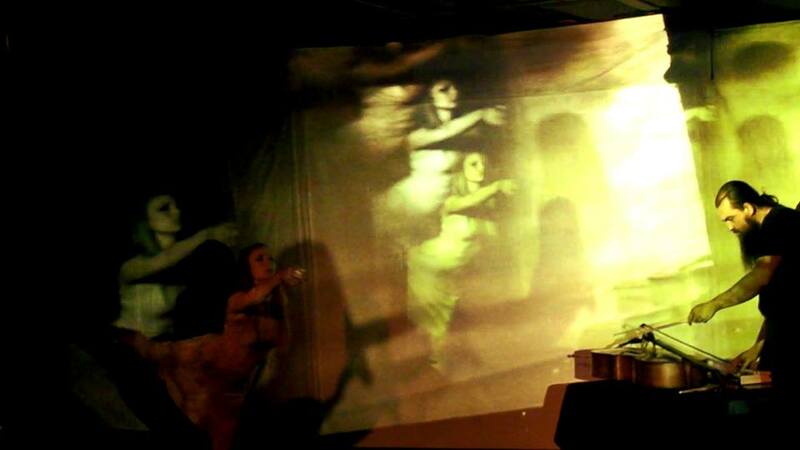 Jon Silpayamanant performing with his interactive video and cello project, Camera Lucida, at the Centennial Black Box Theater in Nashville, TN with the Blue Moves Modern Dance Company. This one begs the question. If we’re only looking at the traditional institutions (again that Negativity Bias) then we’re going to fail to see the actual change that is happening. As many of you readers know I’ve been compiling a list of Opera organizations which have formed in the US since 2000. What I haven’t done with that list yet is talk about how many of them are doing new works and Operas in new forms. I would hazard a guess that more than half are producing Chamber Opera, Multi-Media Opera, Opera fusions with other genres, and other things which may not even resemble anything we’d even consider to be in the realm of staged dramatic vocal/instrumental music at all. Despite the elaborate staging and big production values of Pop Superstar acts, the music and lyrics don’t stray particularly far from what’s been popular nearly a century ago. Once you get outside of the prominent Superstars, then you find tons of imaginative and creative Pop acts. Problem is, most of those aren’t particularly successful (in the way success seems to be defined by the folks talking about a “Classical Music Crisis”). From my own experience playing in or running a wide variety of Pop acts, the consistent thing about relative financial success that I’ve found just happens to be the acts which produces relatively safe and older music. 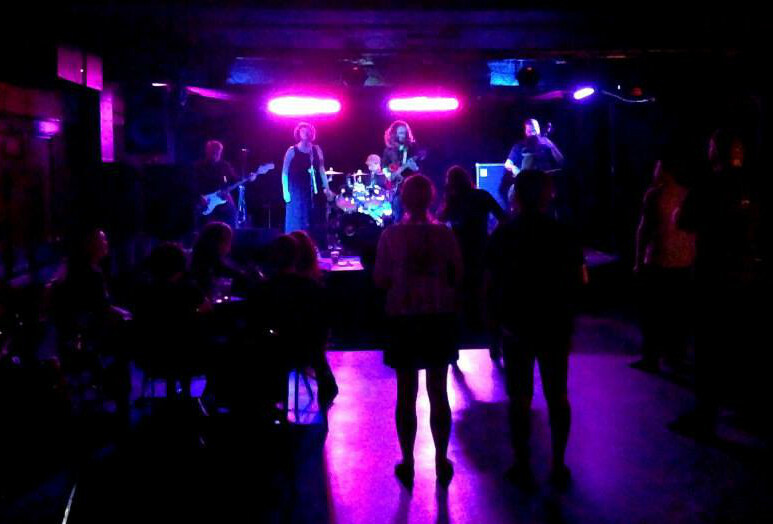 Cover Bands, Wedding Music groups, Special Event Bands–all of those win out financially to my Experimental Music projects, New Music Groups, Original Bands, Multi-Media projects. Financial success doesn’t have to come from the safe music, but it’s far more likely to happen there than in something that deviates significantly from these types of entertainment. Eventually some of these newer things will become old and then the chance of some measure of financial success increases. Once you get past the hurdle of filling a venue for your own act as headliner (or as a sole bill on the act) then you might start to see some returns. Jon Silpayamanant singing Mugham Art song while playing the cello with his Steam Noir project, Secondhand, in St. Louis, MO. This is probably going to be the first thing any Classically trained musician will notice once they play with Band Musicians. While Classical Musicians are highly trained, their skill sets are traditionally geared towards the service of a very specific language–that of music written in Western Notation. Of course, the irony here is that this is a form of music literacy. Being able to read music, and write it, in Western notation (and the styles that accompany it) is one musical language–or rather one aspect of a musical language. Being able to improvise, something that is making something of a comeback in Classical Music, is the other side. Imagine being able to read the words on this page, but not being able to speak the language in everyday life–that’s what it’s like for most Classical Musicians. I’ve discussed the issue of Music Literacy versus Music Fluency in the past here so won’t rehash it. 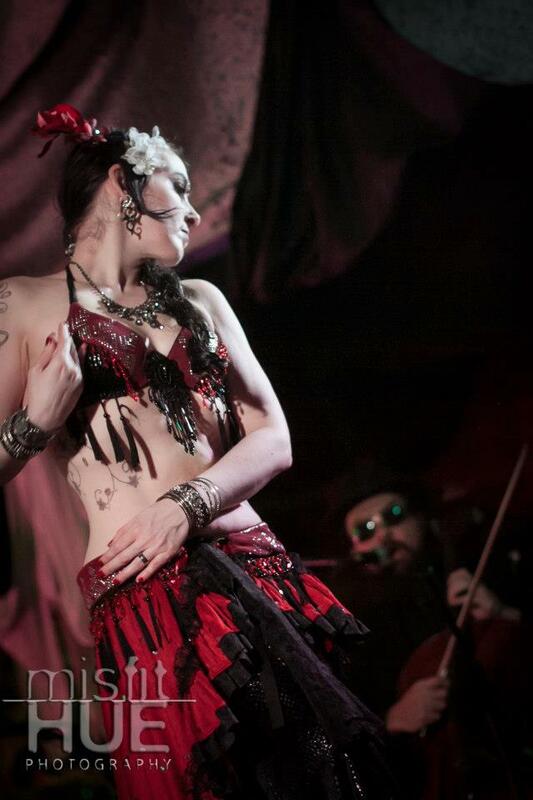 Depending on the style and genre, a different kind of musical fluency happens in Bands. Much of that will be regional or even national, but the written forms of all these musics play a back seat in favor of being able to actually “speak” the music in real time (i.e. improvise). And for anyone who thinks that improvisation doesn’t have any structure, all it takes is listening and comparing how a master Indian musician plays versus a Jazz musician versus a solo Middle Eastern taqsim versus a Blues guitarist–you get the point–to hear how different the musical languages and structures are. While Classical Musicians can be phenomenal at complex meter and tempo changes and navigating larger and longer musical structures, you only have to go to a three hour Raga concert or listen to one of the long form compositions by some 20th century Arabic composers for firqa, or a Gamelan concert, or study a 100 beat per measure Ottoman rhythmic cycle to understand that rhythmic complexity exists well outside of Western Classical Music. Westerners–even Western trained musicians tend to have some difficulty recognizing the complex metrical changes that happens in Eastern European music that even non-trained natives can easily recognize. Grooves also tend to be a concept Classical Musicians can have a difficult time coming to grasps with (exception might be New Music folks who regularly perform minimalist works) and the level of attention to fitting in phrases in a constant but steady tempo can unearth some marvelous nuances you may not recognize until you’ve done it. A part of the Musical Fluency idea deals with our instrumentation–I’m fluent on cello, but babble like a newborn on most brass instruments. While the instrumentation issue is a given Pop Musicians also tend to use electric instruments and amplification. Knowing how to get certain sounds out of an electric keyboard or chain of effects is as much a part of that fluency as anything else. Mic technique for singers is different than using the body and voice as the sole amplification–there’s not as much need to have huge powerful pipes (though there are a number of Pop singers that do) since amplification is available–but using a mic to sing in is a very specific type of technique that has to be learned and not many of us can have the mic technique chops that, say, Frank Sinatra has. This isn’t even to mention the idea of singing while playing which often happens with non-Classical Music genres (see my series about singing while playing the cello for some specific issues and insights I’ve come across over the years). It would be entirely too easy to be dismissive of all these skills, and believe me–I used to be there, but as more and more Classically trained musicians (especially younger generations) come to embrace these things (since sometimes there are more opportunities for them to play in Bands) I imagine that prejudice will fade. This barely scratches the surface of that whole wonderful world of music that exists out there, but I hope it helps to eliminate some of the misconceptions about the purportedly vast gulf between Pop Music (and other musical styles) and Classical Music. I’m hoping that the perspective of someone in the field(s) rather than outside of it (without the knowledge of the details behind the scenes) can be of some use to all the folks who have asked me questions related to this over the years.